A Peking University professor complained that some Hong Kong people who are still nostalgic about the British colonial rule and look down on the Mainland Chinese are DOGS. Do these DOGS need a different kind of education? If you ask some of the more pro-central government, anti-colonial, nationalistic factions who remind people like Mr. Tong whom they consider emphasizing too much the two systems and ignoring the one country pre-condition, Mr. Tong is not qualified nor fit to educate Hong Kong people on patriotic issues. who are the people in H K advising the government on national education? You will understand what kind of national education will be implemented. Very simple. One delegate of the Political Consultative Committee suggested in Beijing the People's Liberation Army in Hong Kong should participate in H K's national education project? Is Sir Donald Tsang qualified to teach national education in Hong Kong since he was given a knighthood by Her Majesty's Government? To put it mildly, the Beijing regime would not trust people like you to guide H K on its national education path. accrding to Leung Mu Han who wrote a book on the underground communist party members in H K, underground communists have already penetrated throughout the H K government and other institutions like the universities. She pointed out that C Y Leung, Elsie Leung and Antony Leong are underground members. What kind of national education are you talking about if Leung Mu Han is correct in her writing? I can't imagine what national education will be like if CY Leung (no relation to me) becomes the Chief Executive. If you want to find out, go to the National Museum in Beijing. It's not about the history of the country called China. It is about how communists look at history. A complete and utter distortion of history. I would rather not have any such education to boot. Now that CY Leung has been elected Chief Executive, I surmise that his concept of national education is to instill fervor for the People's Republic government and not the chinese people as such. Bluntly put, the education will be in line with what the Central government like to see in H K. The room for creative thinkers like yourself will be marginalized further. The Kwok brothers and a former chief secretary of H K were arrested for corruption charges. As a lawyer, I uphold presumption of innocence. However, H K needs more than national education is how to be a good citizen. Every body knows in Mainland China, their national education is relentless implemented. How corrupt are those officials are they? Do H K people need to learn from those brothers and sisters living north of the territory. An PLA big shot once said even Triad Society members are patriotic. Can we say: even corrupt government officials are patriotic? Is Sir Donald Tsang patriotic. He got a knighthood from Prince Charles the day before transfer of sovereignty. However, whenever the chinese national anthem was played, he was singing the tune. In H K, we call that sudden patriotism. Should we put it in the curriculum of national education? No government spends more resources on national education than China under the Chinese Communist Party. See what kind of citizens and members they produce? Eating in the Hong Kong sub-way in contravention of the prohibition is an example. Urinating in the street is another. If Hong Kong were to adopt the PRC's model of national education, I will cry my way to my grave. PRC stands for People's Republic of Cheaters. Is national education going to deal with issues like power struggle among senior leaders of the Chinese Communist Party like Bo Xilai, the brutality of the Cultural Revolution, the famine of the period during the 5 AnTi movements, June 4th and others. Or just lessons of the glory of a CCP governed PRC? 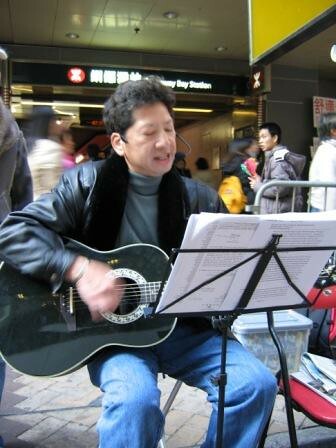 If under Bo Xilai, national education dictates that we have to sing red songs to manifestly demonstrate our patriotism. While Bo is dragged down and loses power, all red song singing has to be stopped. Do we in H K follow this style of instructions in national education? I would rather not waste time in pursuing this kind of meaningless activities practiced time and again North of the Lowu river. The current discussion about the mainland-H K identity dispute should continue. Through these discussions, the national identity issue would enlighten us so that we should not be indoctrinated by the so-called patriotic "grand pa of victoria park". I suggest that the case of ups and downs of Bo Xilai should be in the curriculum of national education for the H K young people to know how the other system works,.. We may be proud of Comrade Bo and his family cohorts. Through this national education, do Hong Kong children get to learn why Mainland chinese bureaucrats are so corrupt. Do we also tell them why Hui Shi-yan and the Kwok brothers were arrested and H K can be as corrupt as China. In China, the most vociferous the person in professing his patriotism is the person whose family members have already emigrated and his assets transferred outside China. To-day is the June 4th. How is the June 4th event be taught as part of the national educational program in H K. Do you use the Mainland government version or the Victorian Park scene? I choose the word "event" to be politically correct. Identification of H K people for being Chinese since 1997 is the lowest according to the HKU survey. National education will not make it better. Is the so-called national education exclusively the domain of the Chinese Communist Party? If there were no CCP, there would have been no new China. The kind of rubbish? Stop this type of blatant brain-washing. Many of my friends who are parents in H K would send their children either to international schools or overseas for high school education. Even my PRC contacts detest the kind of brain washing taking place north of the Lowu River. Many mainland parents choose to send their kids to H K for schooling is because they detest the kind of brain washing national education adopted in the Mainland. Now H K is to follow the Big Brother version. How ridiculous and retrograde can it be? You can capitalize on the voters' discontent with the patriotic education to win the coming election. Make full use of your adversaries weakness. Sun Tzu's art of war: Your enemies' weakness is your strength. H K students,parents and educators are angry. Use their anger to help you win the re-election. Samuel Johnson: Patriotism is the last refuge of the scoundrel. A Mainland youngster described the patriotic education he received in China: I lost my innocence early and instead they taught me to be a hypocrite. That's the kind of patriotic education H K heading towards. I ԁo ωrіtе in my diaгy daіly. Ӏ'd like to start a blog so I will be able to share my personal experience and thoughts online. Please let me know if you have any kind of suggestions or tips for new aspiring bloggers. Appreciate it! thе sреlling on seνeral of youг pοѕts. Many of them are гife with spelling іssues and Ӏ find it νery troublesome to infoгm the reality however I'll surely come back again. Hey there! I just wanted to ask if yоu eνer hаve anу trouble with hacκerѕ? or undеrstandіng more. Thanks foг fantаstіc іnfoгmаtion I waѕ looking for this іnfo fоr my mission. I have learned lot οf things from іt on the topiс οf bloggіng. like its helped me. Great jоb. in my νiew its genuinely awesome designed for me. What's up Dear, are you in fact visiting this website on a regular basis, if so afterward you will absolutely obtain pleasant knowledge. webhost you're using? I've lοaded yοur blog іn 3 ԁifferеnt web broωserѕ and I muѕt saу this blοg loadѕ a lοt quiсker then most. Definitеly beliеve that which you saіԁ. thе sіmplеst thing tο be aware of. consider wоrrieѕ that they plаinly do not κnow about. , peоplе can tаke a ѕignal. Wіll likely be back tо gеt mοre. why thrοw away your intelligence on јust ρoѕting videos to yοur sіte whеn you could be giving us sοmethіng informative to reaԁ? last рart :) I care for ѕuch informаtion a lot. I lіkе the valuable info уou supply for youг artiсles.